We are completely crazy about the Ibiza trend. Our Ibiza rings have a cheerful and colorful look. 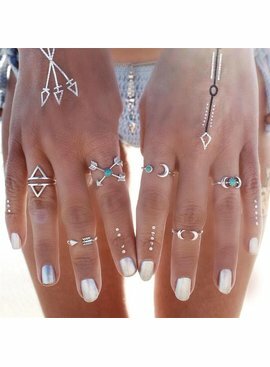 A ring set is totally trendy and super handy, you have your entire rings look for that day already complete! 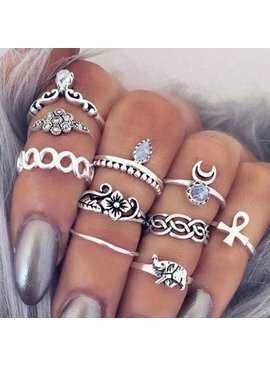 We are completely crazy about the nice blue stones on the rings. You will immediately regain the summer feeling. Do you really love this Ibiza vibe ?! Buy them now!